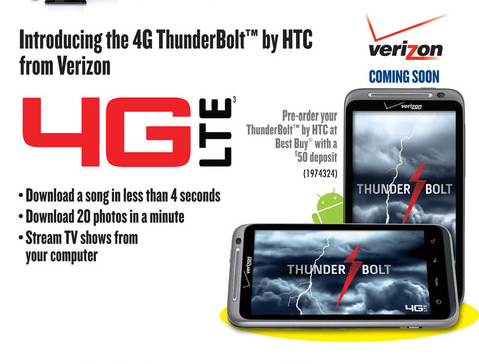 It looks like the pre-order for the HTC Thunderbolt is all set for February 6th if you’ve got an extra $50 laying around. 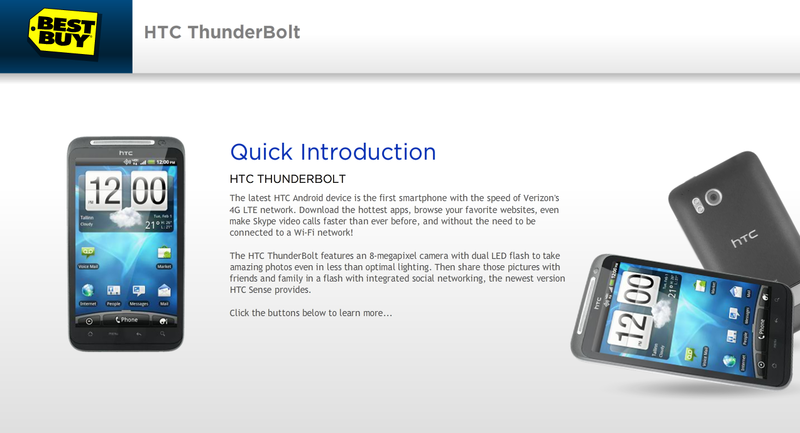 The intro page for the device on Best Buy’s site is live, but we still don’t have an official release date. We’re assuming it’s the 14th which our friends at Phandroid first brought up long ago, but the 24th or 11th could be options. Not sure why the secrecy or why they can’t pick a time and let the world know, but the phone will be here in the next couple of weeks for sure.